We offer a one-stop shop for the trade industry supplying a wide range of the highest quality glass and hardware for pool fencing, balustrading, showers & aluminium screening at amazing trade prices. 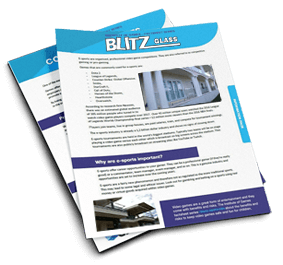 Enter your email to get your FREE Blitz Glass information pack for our latest products and resources. Our warehouse has been established on the Sunshine Coast to offer a full range of products to meet all your pool fencing and balustrade installation requirements. While we specialise in standard glass panels we also hold a range of aluminium and stainless steel products as well as custom made glass that can be tailored to meet your requirements. We supply directly from the manufacturer so can offer you a stylish and affordable solution that will add value to your property. We understand that our customers are our priority and we focus our efforts to work together with home owners, pool builders, landscapers and building professionals to design innovative and safe solutions utilising toughened glass, high quality stainless steel and aluminium products for pools, balustrades, stairs and other applications. We provide a customer-focused business solution by stocking an extensive range of products to support all requirements. We are constantly sourcing new and improved products to add to our already extensive range of products. Innovative and safe solutions utilising toughened glass, high-quality stainless steel and aluminium products for pools, balustrades, stairs, showers and other applications.